Item # 312717 Stash Points: 3,495 (?) This is the number of points you get in The Zumiez Stash for purchasing this item. Stash points are redeemable for exclusive rewards only available to Zumiez Stash members. To redeem your points check out the rewards catalog on thestash.zumiez.com. 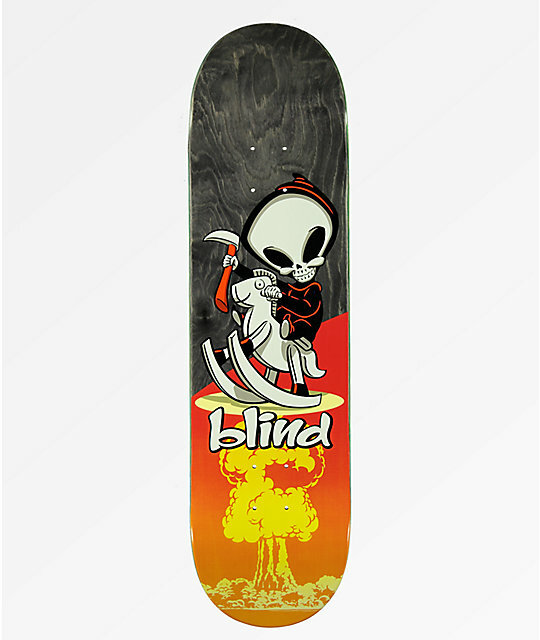 Get tons of concave and premium flip tricks, with the Blind Crazy Horse 8.25" Skateboard Deck. Complete with aggressive concave, large wheel wells and mild-pitched, short kick tails, this deck is primed for quick pop and maximum flick strength. Finished off with Blind's signature Reaper mascot riding a rocking horse, this board is an organically fresh spin on a classic look. 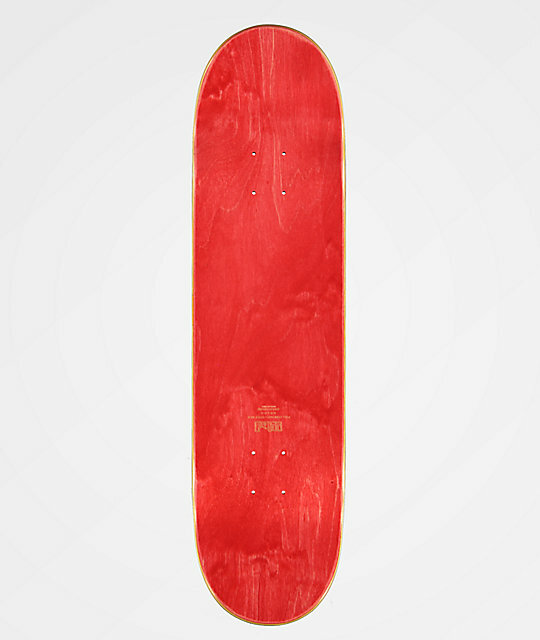 Crazy Horse 8.25" Skateboard Deck by Blind. 7-ply resin epoxy glue and single press deck press construction for lightweight durability and guaranteed optimal shape. Steep concave, large wheel wells.